Our contemporary south Dayton, OH hotel near Wright Patterson AFB is a great option for your next visit! With a centralized location right off of I-675 & I-75, our hotel puts you a short walk from Dayton Mall and only minutes from Austin Landing, Kettering, Miamisburg and University of Dayton. Attend an event at the nearby UD Arena or in downtown Dayton during your stay. 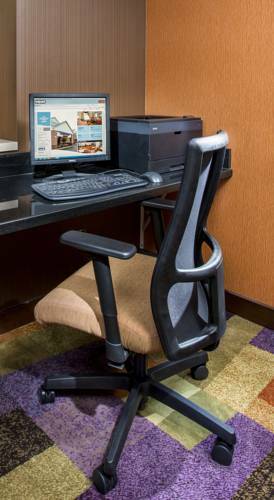 Guests traveling for work are just five minutes from local businesses such as the Lexis Nexis, Reynolds and Reynolds Company & the Evenflo Corporate office. While in Dayton, stay on track with your fitness routine with our 24 hour fitness center or indoor pool. We also have a complimentary hot breakfast buffet every morning, free WiFi, 24 hour business center & a social hour on Tuesdays! At the Fairfield Inn & Suites Dayton South, you're our #1 priority.